AS TEARS welled in the eyes of Vicky Baker, she spoke of the unwavering support of the community had given her family following her son, Ben Baker-Whalley's diagnosis with a germ cell tumour in his brain. Ms Baker and husband Shane Whalley might just make it through to Christmas, when Ben may be able to come home. At the Ramornie Handicap Calcutta Grafton District Services Club hosted an auction to raise money for the Baker-Whalley family and Ben's treatment at Lady Cilentro Hospital in Brisbane. 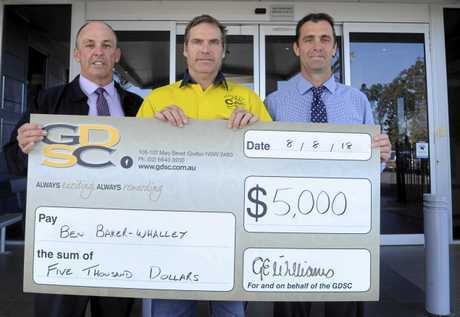 GDSC CEO Garry Williams said the event raised $5000 from auctioning racing memorabilia, collecting donations and donated a percentage of the Ramornie Calcutta. "There was a young fella who works in the bar, he's only about 19, he came up to me on the night and gave me $100," Mr Williams said. "Darren Weir signed one of the memorabilia items, which was probably worth about $200, but some bloke paid $1000 for it. "It wasn't about the item, it was about the fundraising." 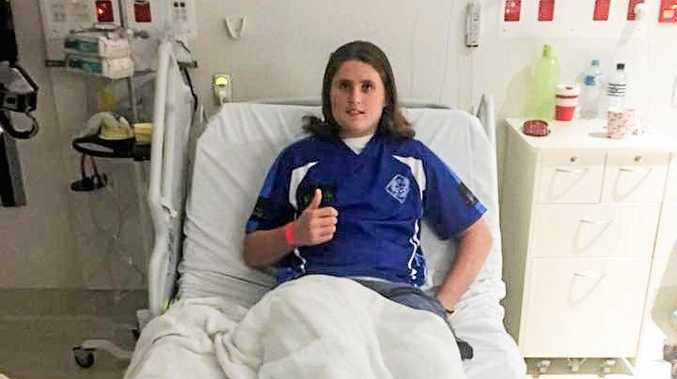 Mr Whalley, who has been working in Grafton and travelling to Brisbane each Friday for the weekend while Ms Baker stays with Ben full time, said he couldnot believe the support Grafton had given their family. "You just can't thank everyone," he said. "We've been in the community with hockey, soccer and work and everyone else around, some people don't even know you and they're giving you money." Mr Whalley added his employers Greg and Lynne from Craftsman Homes Grafton were incredible, allowing him the flexibility to go to Brisbane each week. "Their support is amazing, just to help out, and knowing that if I need an extra day, or three days or a week, I can spend it up there," he said. "I have to be home as well; we've got an 18-year-old daughter, Isabella, who is in Year 12 and about to start trials, I've also got 21-year-old, Emma, who's got a daughter. "And Vicky is just missing everyone, she's missing home, she's missing the kids, the grandchild and all her friends and family." Ms Baker said Ben had had three rounds of chemotherapy with six weeks of radiation to follow, and they were likely to be in Brisbane until Christmas. While in Brisbane, the family will rack up treatment bills, travel and accommodation costs. "I have to Uber (to the hospital) with a sick boy, we have to hide the vomit bags," Ms Baker said. "It's really hard because I don't want them to think I've got a sick kid in the car. He has never vomited in the car." The Baker-Whalleys have rented an apartment near the hospital to ensure Ben is close to treatment. "There wasn't enough accommodation either," Ms Baker said. "We were bed hopping and sharing rooms, but sharing a bathroom with another family while having chemo is difficult, but that was all that was available. "That's why we had to rent privately, there is not enough facilities." Ms Baker said it was heartbreaking, because they were not the only Grafton family having treatment, and to have the support they did, was incredibly overwhelming. "I work for Big River Sport and Health Clinic, all my patients are pensioners and they've raised quite a bit of money as well... and they ask about me because I've become part of their life," she said. "I've always tried to be kind and happy and make them laugh." The future is looking good for Ben, who has been given an 80 per cent chance by doctors. "The chemo has started working, that can change at any moment, but it has started working," Ms Baker said. "Most of the kids, by the time they get to hospital they've already lost their vision and started vomiting." Helping Hands has organised another fundraiser, a trivia night, for Ben on October 11. 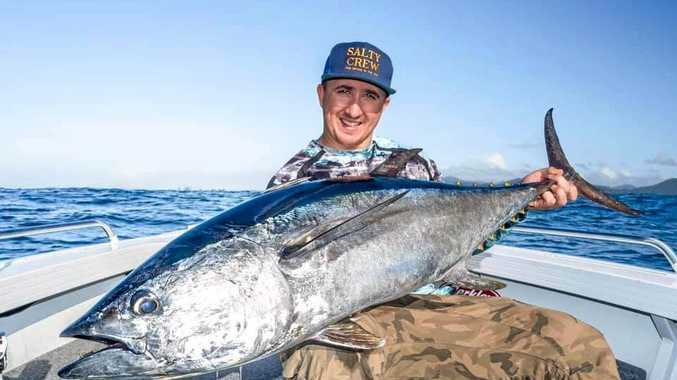 Tables of eight are $200 at Grafton District Services Club. Call the club to book.